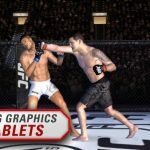 We’re back with yet another Weekend Warriors MMA strategy guide, but before we get to that, let’s remind all of you about what this new MDickie game for Android and iOS is all about. 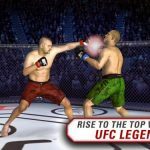 This is an MMA game with a twist, we’d say, as the fighting mechanics here seem to combine mixed martial arts with elements of professional wrestling (e.g. tag team matches, foreign objects, managers, etc. ), and your goal is to take your fighter from absolute nobody to world champion in his/her weight class, preferably in one of the popular promotions. And speaking of that, the game has 300 characters, five different promotions, and four weight classes per promotion. Last time around, we focused on tips and tricks for beginners. But this time, we’ll be moving on to some more advanced tips that would be best for those who are at an intermediate or advanced level. Last time, we briefly mentioned the different statistics each fighter has. But to delve a bit deeper into them, Striking would refer to your skill and strength in throwing strikes; a high Striking rating also increases the chances of what you can call a “critical hit” that takes a huge chunk out of an opponent’s health. Grappling affects your ability to trap opponents in holds, or counter theirs. Toughness pertains to how slowly (or how quickly) your health meter declines, while Stamina is the same, but only for the stamina meter, of course. 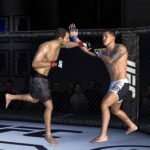 Speed affects your ability to move around in the octagon (or the ring) and how quickly you throw strikes. Lastly, Popularity, which cannot be edited, affects your ability to draw fans to an event, thus affecting your ability to earn money. When allocating skill points, it would often be good to start with a fighter with high Striking, decent Toughness and Speed, and weak Grappling and Stamina. It’s easier when starting out to go for the early knockout, and while you need a good Striking rating most of all, you also need to be quick enough to evade your opponent, and tough enough to withstand his or her attacks. The other skills can be trained, preferably during your off-weeks, and keeping this in mind, you’ll want to make your fighter more well-rounded over time. Now, that you know how to set up your fighter’s skill points for starters, the best way to end matches quickly, or ensure that you win more rounds than the opponent, is to spam those high-impact moves, but only the ones that won’t require you to jump. For example, I like throwing a superkick or a spinning elbow, as opposed to a spinning heel kick or a Superman punch. Missing on a flying move could result in you landing on your back or on your behind, and that could sometimes be hard to recover on. When focusing on your stand-up (striking-heavy) game, you want to keep distance from your opponent so you can land those high-impact superkicks, elbows, and more. If you’re too close to your opponent, they’re more likely to parry your blows or counter your striking with grappling. Conversely, you want to be closer to your opponent if you’d rather focus on the grappling side of things. As we said last time, Weekend Warriors MMA has many twists on the MMA we may know from UFC. And while it may sound cool to make your fighter fly off the top of the cage, it really isn’t worth it at all. Missing on such an attack could take a lot out of your health, and as for the impact on opponents, it often isn’t as great as you may think. Normally, you’ll want creative control when negotiating a new contract, and here’s why. While a lot of the things you can do to your fighter with creative control are merely cosmetic, e.g. changing your hairdo, beard style, ring/casual attire, etc., having this stipulation in your contract also allows you to customize your move set. This goes back to the earlier tip about high-impact moves; in my experience, I found creative control most helpful as it allowed me to configure the moves I wanted for my fighter, instead of dealing with the stock moves, which were mostly impractical for my style. There is a catch to asking creative control if it isn’t offered by your boss or manager. You’ll have to reduce your cut of the revenue by a percentage point or two, or reduce your signing bonus by a few thousand dollars. We suggest reducing the signing bonus more than you reduce your share of fight revenue, as bonuses only come when you sign the contract, while the revenue share comes into play every time you have a match. Sometimes, fights will get cancelled without any notice, and instead of having a fully booked schedule, you’ll have long gaps in between matches that, on the plus side, allow you more time to train, but on the down side, could hurt your Popularity due to a lack of exposure. That’s the best time for you to book your own matches by double-tapping on the vacant date and tapping on a fighter’s name. You’ll then be taken backstage, where the two of you can talk the terms of your match. This appears to be more common in the wrestling-inspired promotions Squared Circle and Wrestling Revolution, where you see a whole lot of things that definitely aren’t among the features of your average real-life MMA match. Sometimes, you’ll be booked in a match where you’re competing in an octagon that doesn’t have a protective cage. In these matches, you should be very, very careful not to fall out of the octagon or get punched/kicked/thrown out of there, because that automatically loses the match for you!